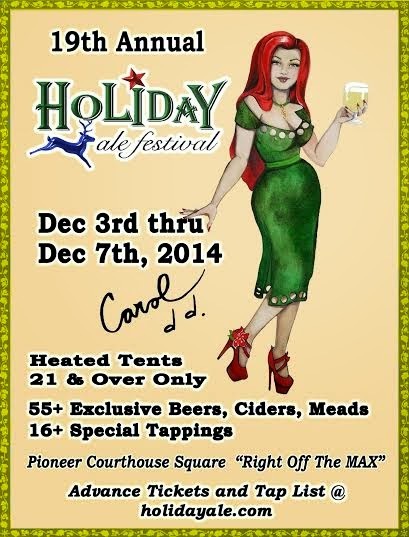 Coming up quickly is the annual Holiday Ale Festival. Starting next week on Wednesday the HAF will have 53 beers being poured each day, many made specifically for Holiday Ale Festival. Don't forget that Holiday Ale Fest will also be tapping limited release beers each day.